You’ve got the right app! All-In-One Toolbox will do all above jobs for you, and more. All-In-One Toolbox will be your best phone junk cleaner, history eraser, speed booster, performance booster, memory optimizer, battery optimizer, app manager, file manager, mini launcher and privacy guarder. 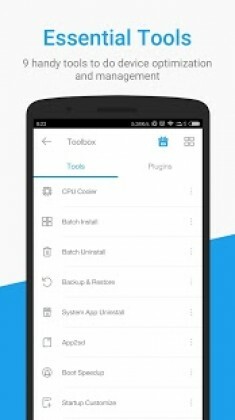 All-In-One Toolbox aims to bring you more clean, fast, smart mobile experience on Android. 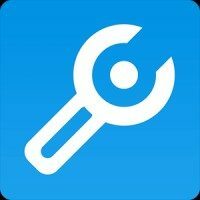 Scan all useless hidden junks like app cache, residual files, empty folders, app leftover, similar pictures…with amazing fast speed and remove them all out of phone with one single tap. Our users can free up 1-10 GB space daily to save more new pictures, install more new apps or games. Stopping unnecessary system running tasks with one simple click to boost phone speed quickly. Strongly recommend you to try this feature when phone is slow, lagging, or get system low memory warnings. A killer feature for hotting and overheating devices. It decreases temperature of CPU by closing process. * Batch Installer & Uninstaller: Bulk operate several apps at a time. Root required for silent batch operation. * App2sd: Move apps from device internal storage to external SD card. * Backup & Restore: Backup installed apps or re-install them after restoring device from factory reset. * System Uninstall: Root required. This option is very useful in phones containing useless factory/manufacture apps(bloatwares). * Boot Speedup: Root required. Disable user or system apps to start at the time of booting. This feature will shorten starting time when device is switched on. * Startup Customize: Customize apps you want to start with system boot. Check which kind of files stored on external SD card and provide a list of options to manage them. Files will sorted by categories (gallery, music, video, apps, files) or directories. A smart float widget and a mini launcher to quick access to AIO tools, favorite apps and used apps. Easy Swipe stays hidden on apps or phone home screen and appears when you want and swipe it. Hide annoying app notifications from Android status bar. Blocked messages will be saved together in one place for later check or clean. Boost charge speed, save you more time. Add VIP feature to remove ads. – Optimized for speed and reliability. Pro features unlocked – no additional key needed. Update needed for v8.1.0 build 150190 please? Thanks for this app & hope it work good as I heard in some sites!! !